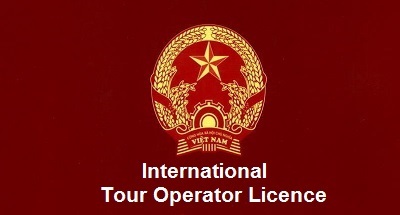 All of our Vietnam Family Tours 2019, 2020 are carefully designed to open up the world to your kids. We will provide as many chances as possible for them to experience our planet on their own terms. Your kids will learn new and exciting things for the first time all over again. 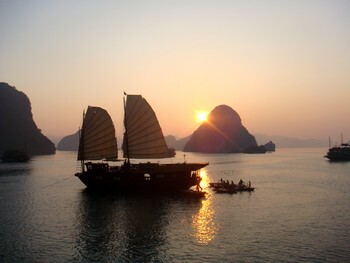 Our Vietnam family holidays are fun-focused with top highlights of Vietnam: untouched nature of fascinating Halong bay. Your kids will join kayaking or sitting on a rowing sampan to discover floating schools of fishing village; Discover different cultures and lifestyles of 54 ethnic people in Vietnam. Tour Hanoi's 36 Colourful Old Quarter Streets by cyclo and see water puppet will last all their childhood. 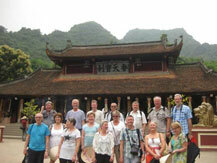 See some suggested family holidays in Vietnam that have been taken by our customers. They have given us really wonderful feedbacks. Best family holiday destinations in Vietnam: Hanoi - Halong Bay - Maichau - Hoian - Saigon - Cuchi tunnels - Mekong delta. These destinations are great for family holiday Vietnam with kids. 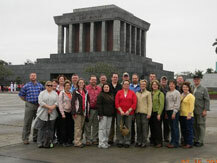 Feel free to customize your Vietnam family tour package with us. This family holiday in Vietnam can be extended to Cambodia. Family friendly destinations in vietnam: Hanoi - Sapa - Tamcoc - Cucphuong - Halong Bay. These destinations are great to open your kids' mind to the secret world outside. This Vietnam tour package offers the best for family holiday with kids: Great combination of history, culture, nature studies. This family holiday in Vietnam can be extended to Cambodia. 10day family holiday in Vietnam and cambodia includes 3 world heritage Sites - Amazing Halong bay, stunning Tamcoc and wonderful Angkor Wat. 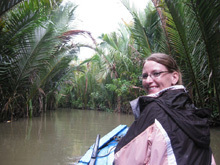 The private Vietnam Cambodia family tours 10days starts from 1500 USD. Best family itinerary Vietnam : Hanoi - Ninhbinh - Halong Bay - Hanoi. Everyday with new experience on history, culture, nature for both parents and children. This Vietnam family tour is good to take for all year around. 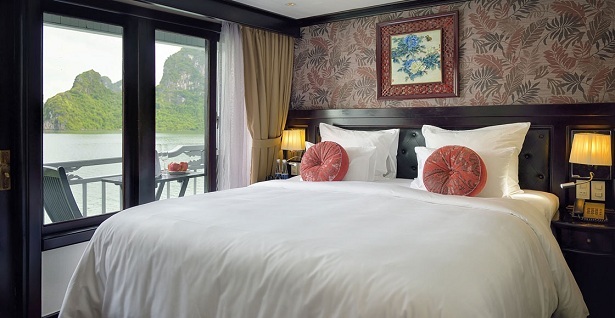 This Vietnam package can be planed with luxury cruise in Halong bay, homestay or luxury hotels in Ninhbinh and Hanoi. This family holiday in Vietnam can be extended to Cambodia. 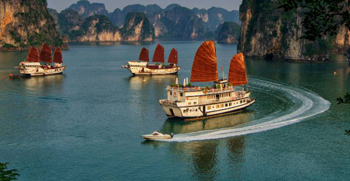 Vietnam family holiday itinerary: Hanoi - Maichau - Halong Bay with Great combination of history, culture, nature studies for both children and parents. This family holiday in Vietnam could be planed with luxury travel or adventure style and homestay with some ethnic groups - Thai, Muong..
11day Luxury Vietnam family tour from UK, US, AU..
Tailor-made family holiday in Vietnam for toddlers with to 4 UNESCO Heritage Sites in Vietnam: Trangan - Halong bay - Hue - Hoian. 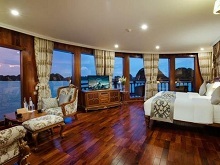 This Vietnam family package can be luxury to adventure and extended to Cambodia as well. 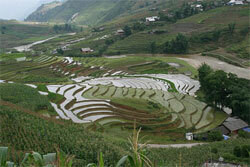 Explore Vietnam as local travelers with foodie tour, motorbike tour and get away from the crowded tourists. Amazing experience for your children with daily life of Vietnamese people. 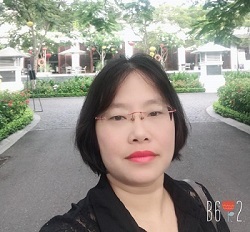 Customize your best Vietnam family tours 2019 , 2020 with top 5 UNESCO Natural, Cultural Heritage Sites in Vietnam: Trangan - Halong bay - Hue - Danang - Myson - Hoian. Many chances to educate your child with local culture, history and daily life in Vietnam. 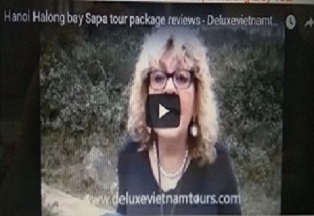 Top of the best family friendly destinations in Vietnam for 12day Vietnam family tours holidays start in Hanoi - Sapa - Tamcoc - Halong bay - Hoian - Myson. This Vietnam family holiday package ends in Danang city with beautiful beaches or extend to Cambodia with direct flights from Danang. Best 12day family tour Vietnam with Halong - Sapa - Trangan - Hue - Hoian - Myson - Top stunning destinations that Vietnam has to offer for your family. 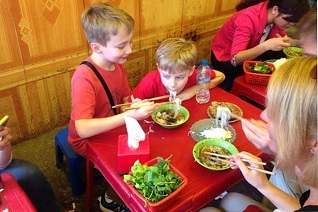 Surely your kids will be amazed by the Vietnam family holiday. 4 UNESCO Heritage Sites on luxury Vietnam family tours with Hanoi - Sapa - Halong bay - Hue - Danang - Myson - Hoian. Lifetime experience for your family trip with children. Best 12day family friendly tours Vietnam with Saigon - Cuchi tunnels - Hoian - Myson - Hue - Halong - Hanoi with amazing experience for your kids. This family holiday in Vietnam has everything for your family and kids from exotic cultures, stunning nature and unbelieable history. Best Vietnam family holiday package with Hanoi - HaLong - flight to Saigon - Mekong - Cu Chi - UK - Britain.